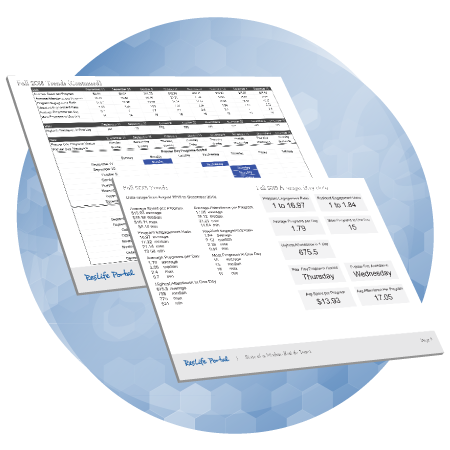 Some capabilities of the ResLife Portal system can be configurable to adapt to how your institution operates. For example, the terminology of staff member roles can be configured to align with the specific terminology used at your institution. Additionally, the names of programming categories from your institution's programming model can be configured. Customized modules and features can be built on-top of our ResLife Portal system to match the specific needs of your residential life staff. ResLife Portal is a flexible modular system which provides us the ability to produce the right combination of modules for your institution. Please contact us to discuss building a customized solution for your institution. 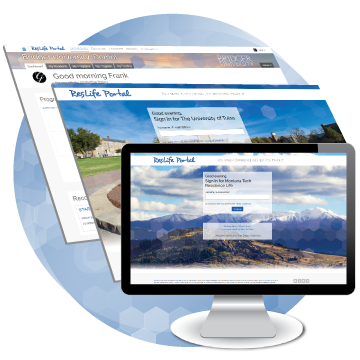 Our designers can add a custom theme to the ResLife Portal, including your institution's logo/emblem and colors. Our consultants can visit with the key stakeholders of your institution. From conducting interviews to small focus groups, we can meet with members of all levels of your residential life staff to gather input. Through this process we will help develop a roadmap of aligning the system with the processes of your institution. Every project should establish a baseline to know when you've moved the needle, for your team and for the students. This baseline context informs us about the reality that your operations and services live within, as well as how it relates to people's lives and experiences. We can lead your team through an interactive workshop to discover your baseline and help your team work towards crafting solutions for significant impact and improvement. The workshop includes identifying key target audiences, goals, feasibility, challenges and priorities, all related to the core, critical features and/or functions of your project. We recognize that different training needs exist for every institution, therefore our team is ready to meet the distinct needs and preferences for your institution. This can result in tailored training content for your residence life team. On-site and real-time web-based training options are available upon request.